Rooms when first purchased motel. Over the past 12 years we have seen many changes to our business. Most of these, you the guest don’t see, but it is a constant and never ending process. Our first task when we bought this business was to replace all the beds (in a hurry) and gut and tile the bathrooms ( in a bigger hurry). Then we plastered a feature wall and painted all the rooms and new carpets. A few more dollars saved and we were able to then plaster all the rooms and hide the brick work. This in turn made the rooms warmer in winter and more sound proof. New quality carpet came at the same time as did cupboards. All hot water services were replaced, and air cons/heaters. Then the not so obvious started. One block at a time we replaced the roof. Add drainage and replaced rusty pipes. Foxtel was wired into all rooms and televisions replace with large flat screens. Solar panels were installed to try and keep some costs down. Laundry equipment had to be replaced (we are the only motel in Colac with an industrial laundry) so we could continue to launder our own towels, blankets and spreads and now doonas. The office had to be upgraded to keep up with the ever changing online world and both management and staff trained and constantly updated with the growing accommodation industry. A couple of years ago we purchased a small house across the road and renovated it as another accommodation option. This has proven to be most successful and very popular with returning guests booking 12 months in advance for special dates within their family network. Once again in an effort to keep up with guest needs and comfort we added a pergola and B.B,Q area as we started to get longer stay times with workers. 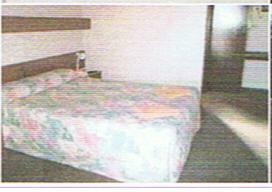 It is now again time to focus on the motel rooms. Out with the old bedspreads and standard towels. It is now doonas and bath sheets. Ray is very busy gutting bathrooms for a total makeover. Split systems for more instant heat and cooling and new colour scheme. 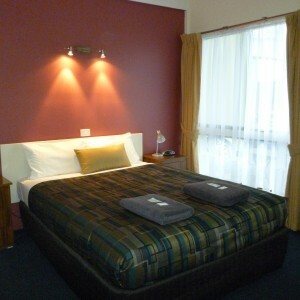 We do strive to make all our guests stay as comfortable and memorable as possible. Some things are obvious a lot are not. If you would like to find out more about out motel please contact us.